Ability to assign increase budgets by individual departments or the overall company. This allows an organization to reward high performing departments with larger merit budgets. 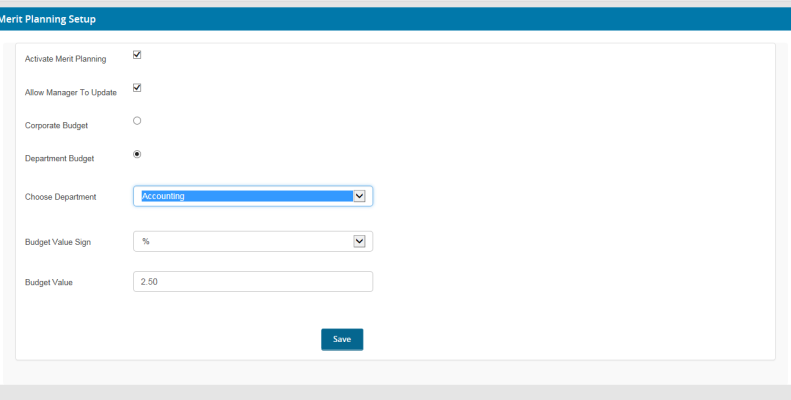 Customized options, including allowing managers to adjust employees increase amounts. Performance scores are automatically transferred into the merit model for a seamless process, eliminating errors, and saving you time and money. 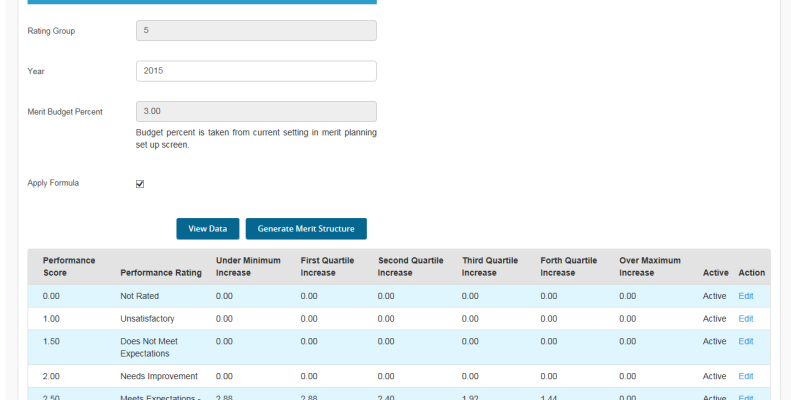 After completing the Performance Appraisal process, all of the data is moved into the merit planning section. 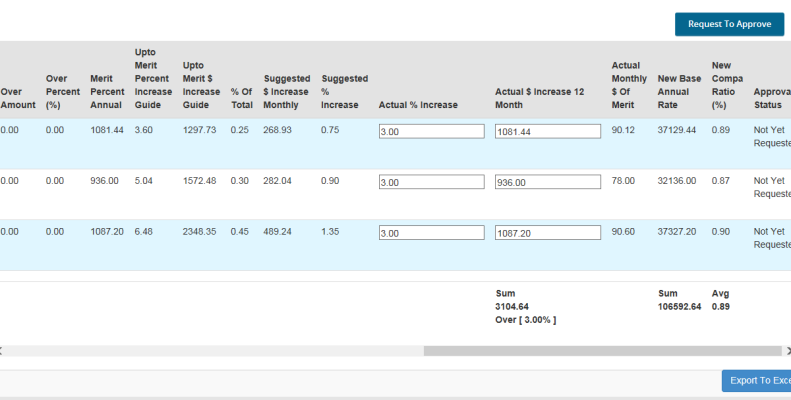 Using customizable increase model, you’ll see a suggested increase amount to all employees based on their performance, pay range position, and organizational (or department) budget. It’s up to your company if you want to allow managers to have the final say on the increase amount, or to proceed with the suggested amount. Customized options, including allowing managers to adjust employees increase amounts with in their budgets. Since 1985 we have worked with over 300 organizations of all sizes, natures, and industries, in the development of compensation and performance management systems.